I’m gearing up for my 4th all-inclusive Mexican vacation at the Grand Fiesta Americana – Los Cabos next month and I cannot wait! I absolutely love Mexico. Over the last few years it’s become one of my favorite spots to holiday. All-inclusive resorts in Mexico are a great way to enjoy and relax without have to worry about anything. Before my first all-inclusive trip to Secrets Marquis Los Cabos back in December 2011, I did a ton of research on what to expect. They all told me the same thing: bring cash for tips, stay hydrated, watch how much you drink, etc. They were all great tips that definitely helped make my first all-inclusive an enjoyable one. BUT there were a few things I wish I had known that I didn’t see on any of those ‘tips lists’. Which brings me to my list. Below are the top 5 things I wish I had known before my first Mexican all-inclusive vacation. Don’t fall for the timeshare shark. When you exit through customs you will most likely be approached by an overly aggressive yet friendly ‘representative’. The thing is, they’re nothing more than a timeshare salesperson or timeshare shark as they’re called. They’ll offer you all sorts of vacation packages, spa treatments, tequila tours, etc. in exchange for a visit to their hotel. If you haven’t previously arranged for transportation, don’t fall for the timeshare shark trap. Walk outside to talk to a real shuttle company or get a taxi. Personally, I always pre-arrange transportation. The best place to look is Google. Do some research for transportation for the region you’re traveling to. Most likely there will be plenty of options. This isn’t necessarily a tip rather an acknowledgement. The concept of not paying for anything takes a little getting used to. For example, after a meal you just get up and leave. I’ve never dined and dashed before but I imagine this is what it feels like. Don’t fear, you will get used to it after a day or so. After my initial shock ran off, I found myself doing things I would never do like order two entrees when I couldn’t decide what I wanted to eat. My only caveat is try not to be wasteful and don’t get caught up thinking ‘it’s free’ because it’s not actually free. You are paying for it. Also be aware of any hidden charges that might appear on your bill when you go to check out. If premium liquor is extra don’t get drunk and start ordering shots of patron. This is written with the understanding that you’re tipping of course. Five pounds. That’s how much I gained during my 10-day stay at the Grand Fiesta Americana – Puerto Vallarta last fall (yes I know 10 days is a long time at an all-inclusive). This might not be the case with everyone but most people I see at all-inclusives (especially the adults-only ones) are like me: literally eating and drinking all day. You know you do something just because you can. That’s how it is at an all-inclusive. Why not order a margarita at 10am it’s free (wink, wink) and you’re not driving. Plus most all-inclusives have multiple restaurants that you feel almost obligated to try them all. Or I could be completely off base being a self-proclaimed foodie. Depending on the length of your stay, be prepared for your shorts to be a little tight when you leave. I always bring loose clothing for the flight home. Even if you only know how to say hola in Spanish, say it to the staff. It’s not insulting to them; if anything they’ll appreciate that you’re making that small effort to speak their language. All the all-inclusive hotels I’ve been to in Mexico have had particularly fantastic employees. One that always have a smile on their face and are always going to the extra mile to help out. Think of how many obnoxious travelers they probably encounter. Why not say gracias? I understand that the appeal of an all-inclusive is that you don’t have to leave the resort. Everything you need from activities to dining is at your fingertips. I get that. As I mentioned earlier, I love Mexico. The people, the culture, the food…Mexico has so much to offer. If you can, I encourage you to step away from the resort to venture into town or go off on an excursion. Obviously don’t risk your life, so if it’s not safe, don’t go. But most areas of Cabo, Puerto Vallarta, Cancun, Tulum, etc. have towns that you can visit without risk. Go during the day and walk around or go into town for dinner one night. Book an off-site excursion – almost all of coastal Mexico has great scuba diving. Have fun at the all-inclusive but also try to go see Mexico! Have you been to an all-inclusive in Mexico? If so, what’s your favorite thing to do? Those are some really useful tips. I prefer all inclusive vacations. There is no hassle and surprise. I agree with the weight gain bit. I was in an all inclusive cruise and I ate all day. Now trying to lose weight haha. Wow reading this Mexico is in wishlist from now onwards. I love Spainish culture and so it is good to know Mexico has Spainish influence. Not paying everytime and airportvpick up service is great features of this trip. Lovely!! Seems like an exciting all-inclusive trip. Eating and getting out seems weird and fun to me. I wish Mexico is still the same after the recent earthquake hit. Wish you a wonderful vacation. really informative and great tips. I have never done a resort stay anywhere, as I like to explore a lot. but these are great tips should I try it one day. heads up for pre-arranging transport from the airport! 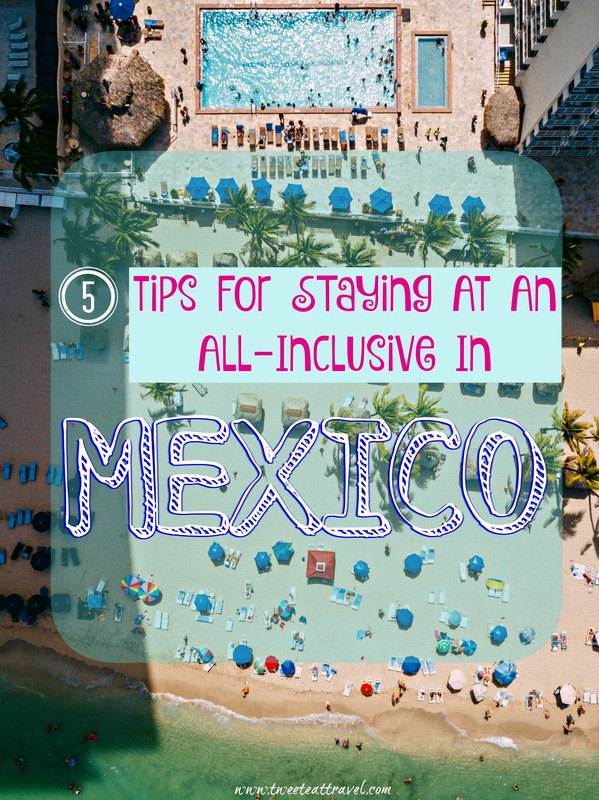 These are great tips for staying in an all inclusive in Mexico. I’ve only done an all inclusive once before (attending a family wedding). I remember the whole not paying for your meal (after eating) was weird getting used to, but it’s pretty easy to get into the swing of things on an all inclusive vacation. I love all-inclusive trips .But the downside is I eat too much because you have paid for it already.Loved reading about your trips. This is all such good advice! I’ve only stayed at an all-inclusive in Mexico one time, and it was many years ago. My husband and I are celebrating a big anniversary next year, and I’m hinting at something like this to celebrate! 😉 So this is a really helpful article. Thank you! We haven’t made it to Mexico yet but have heard so many good things which make us plan a visit soon. We have never tried an all-inclusive trip but it does sounds nice and think its recommended once in awhile when you don’t have to worry about anything and just take a break. And yes, of course, we would definitely not miss on seeing the city. I do love all-inclusive trips. I feel much more comfortable not having to pay at every place, and to keep a tab on the spend and being able to just relax knowing that your bill is fixed no matter what!!! Gained 5 pounds in 10 days, wow! Lolz… I was once at an all inclusive vacation in the beginning of my pregnancy and I really couldn’t eat anything at all!!! I'm Tweet, a self-proclaimed foodie and professional food blogger. 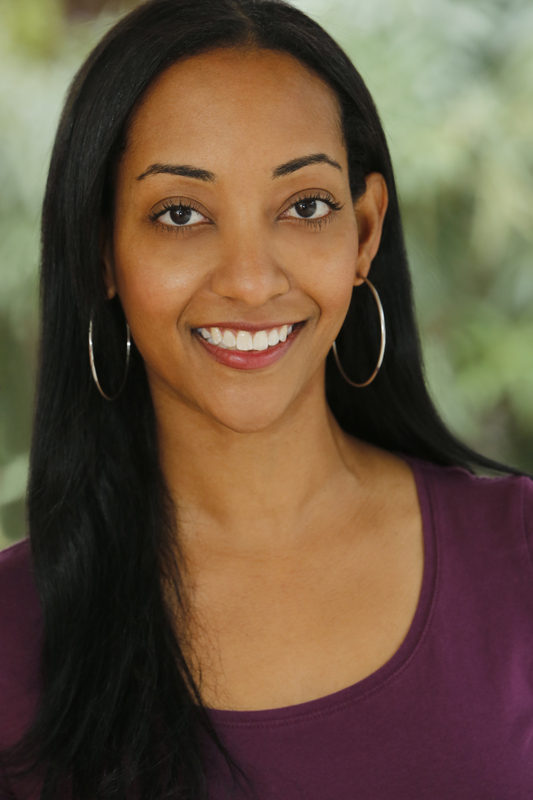 I travel frequently taking 5+ vacations a year including 1 international trip. 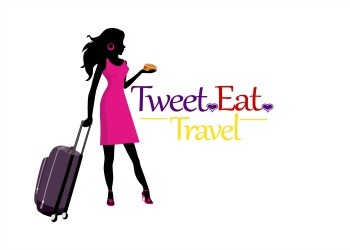 Follow along as I eat and travel my way around the world.